Everyone loves a good movie. We all hear about the big showstoppers: the movies with big stars and flashy special effects. But they may not be the best movies. For 30 years, the mission of the Kalamazoo Film Society has been to show first-run, world-class, independent and foreign films that would otherwise not be offered locally. Kalamazoo Film Society President Michael Marchak tells the story of its humble beginnings. The all-volunteer, non-profit group started in 1988. It began presenting films that were featured at the Sundance, Cannes, or other film festivals. Marchak says commercial cinemas often don’t see enough of a profit in offering some of the films that KFS shows, even though they may have won honors as the best films of the year. “If they don’t have the box office, they don’t look at it,” Marchak says. An annual KFS membership fee includes discounts on the films it shows at Celebration! Cinema. The fee also supports the Society's efforts to bring in foreign and cutting-edge independent films. Members also get a newsletter and updates on various film society events. The Kalamazoo Film Society will screen Boy Erased, featuring Nicole Kidman, Russell Crowe, and Joel Edgerton, is showing at the Celebration! Cinema. Check its website for show times. Creative people often express themselves in more than one medium. Elaine Seaman is a fabric artist. She also writes poetry. 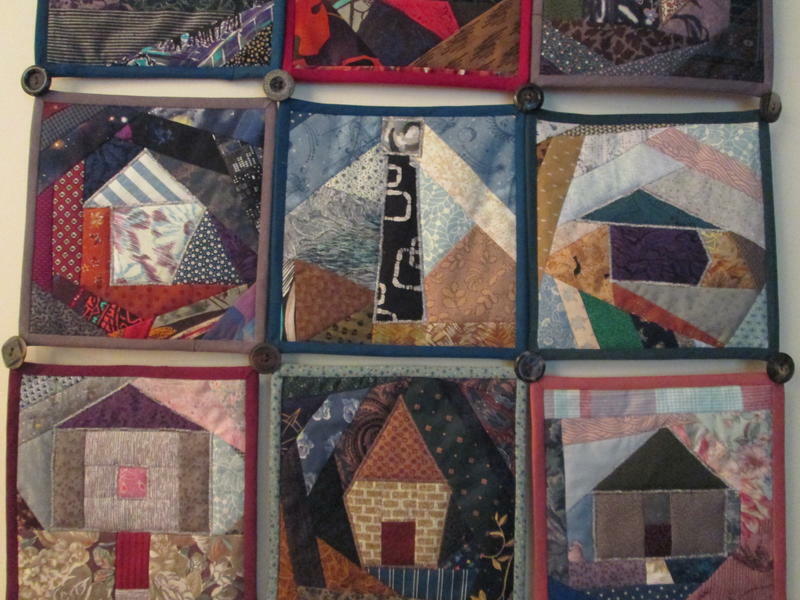 Her quilts are personal statements, capturing aspects of her life. 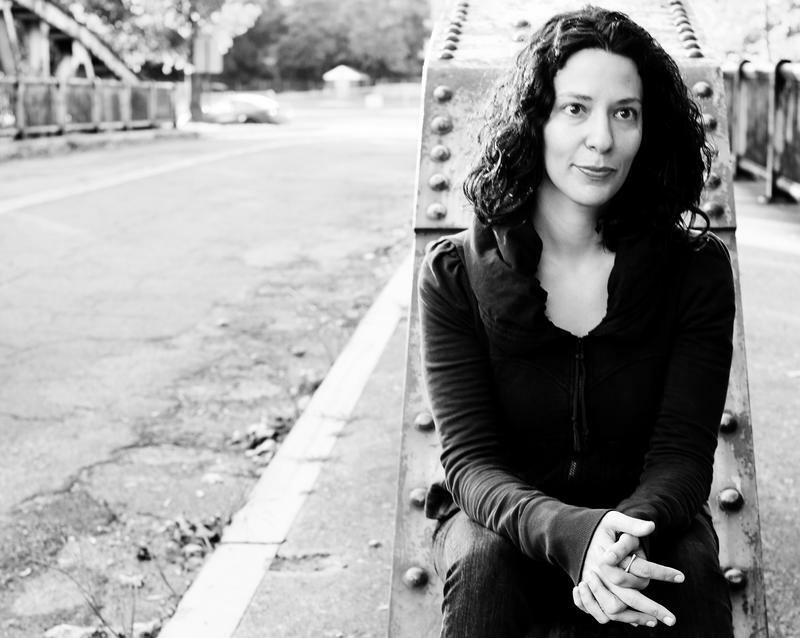 Her poetry collections include the chapbook Bird at the Window and Rocks in the Wheatfield (Finishing Line Press, 2004). Living in the backcountry of Allegan County, sandhill cranes and wandering deer often hear Ann DeHoog playing her flute by an open window. For many years, she was flutist for the Kalamazoo Symphony Orchestra. 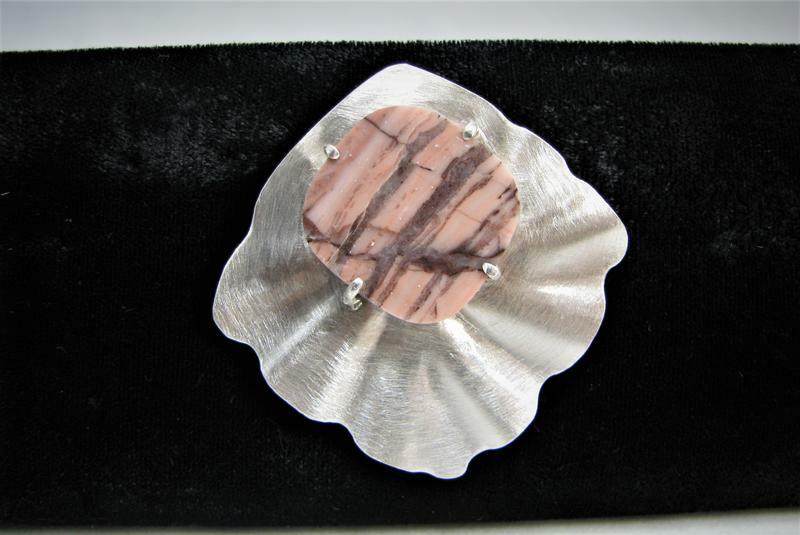 Now DeHoog’s passion finds her working in her studio, creating jewelry with Michigan stones for her business, Almond Branch Designs. Art Beat: Elisa Albert's "After Birth"
On Elisa Albert’s website, you see a woman in a straitjacket, pencil clamped tightly in her bright red lips. That’s how Albert writes, despite pressure to conform or live a lie. Albert is all about brutal honesty. In her newest novel, After Birth (Houghton Mifflin Harcourt, 2015), a young woman learns how to cope with becoming a mother. It isn’t pretty. But when reviewers peg her book as being about post- partum depression, Albert pushes back.